I just got home from a women's conference with hundreds of beautiful women. It was broadcast to hundreds of thousands of women across the globe. The vision and unity were impressive; the musical numbers awesome; the talks inspired. This meeting is held every fall, and in my neck of the woods we have a nice dinner beforehand. For years, I have asked, begged, my mother to come with me. In her poor health, she always told me that if she had to walk more than 30 steps, she would pass on the offer. So she never came, and I always missed her. I knew I would miss her all the more today. I knew I would miss not only sitting with her and enjoying her company, but I would miss all the future times that we could have been together. Losing a loved one is not only in the now, but in the quashed future opportunities, as well. I had a picture in my head of arriving just a pinch late - enough so I wouldn't have to visit with anyone before the dinner started - sitting by myself and my memories, and wallowing in my grief. Instead, a neighbor spotted me standing near the door. She pulled me in and we sat at a table together. She told me that she had been thinking of me, remembering that this conference was hard for her to attend after her own mother had passed away. After the dinner, another three neighbor ladies joined us for the meeting. I think the Lord gently placed that sweet neighbor in my path to remind me that wallowing is not why we are here. It's hard to do much of anything when we are sad. And not that we shouldn't grieve, and miss our loved ones, but that His love can fill up the empty and broken parts of our hearts. He means for us to be happy. And I am happy. My heart is full. In fact, I think I'll take on a writing challenge annually thrown down by the Nester (one of my favorite online writers) to write about something for 31 days - the whole month of October. I won't write on Sundays, so my writing will be for a mere 27 days. And my topic? I choose happy. We have a big yard. A large lot was one of the things we were looking for in a house. I thought half an acre would be big enough for our brood, but Trent wanted more. Our yard is one of the biggest in the neighborhood, and I think we're starting to regret it. A large lot requires more work and money to keep up than we had anticipated. Nevertheless, the kids love it (except on work days). And the neighborhood kids love our yard, too. The folks who lived here before us were the sweet, but distant, grandparently type. The first weekend after we moved in, the doorbell rang. It was a bunch of kids, wanting to know if they could come over and play night games as soon as it got dark. They'd never played in our yard, and thought our grassy spaces and mature bushes would be great to run and hide in. They were right. They've been playing night games on the weekends ever since. Some weeks the numbers are sparse, and the boys run around the neighborhood to drum up players. Some weeks it turns out to be the younger teens and tweens. Some weeks it is the younger elementary set. Some weeks there is a veritable mob. Tonight there was a good group of kids running wild around our yard. They yell and scamper. I love watching them. It was fun to see a tall, lanky boy duck out from under the bushes, followed by an older girl shepherding her little brother along. It's just fun. They have so much fun playing. I wish I could go and play so lightheartedly. Wouldn't it be fun? And irresponsible? And fun? My mother loved music. She played the organ at church from when she was in high school until just recently. She taught us and half the neighborhood to play the piano. She encouraged and paid for percussionists, trombonists, a violinist, and singing in choirs. And marching band. That one deserves its own sentence. She loved to listen to music around the house, too. She and my dad had lots of vinyl records, then cassette tapes, then CDs, and then she put it all on iTunes. Josh Groban was one of her favorites. She loved his music so much that she inadvertently bought two copies of one of his CDs. When she realized her doubling up, she laughed and gave the spare to me. I loved it, but only listened to the songs a time or two before the CD disappeared. Things do get lost around here. As we have been packing up Alec's room, somehow the CD resurfaced. I guess my boy loved the music, too. I couldn't wait for a quiet moment to listen to it again, but things were so busy - so crazy. It had been a demanding day, and I was worn out from giving. It was one of those days that you can't seem to end soon enough, and you dread having to repeat in the morning. I didn't know if I had the strength to face everything again. I popped the CD into my stereo as I was getting ready for bed. The first song is breathtakingly gorgeous. But the second song made me grind to a halt. I sank into a chair and just sat and cried. Don't give up. It's just the weight of the world. When your heart's heavy, I will lift it for you. Don't give up because you want to be heard. If silence keeps you, I will break it for you. Everybody wants to be understood; well I can hear you. Don't give up. It's just the hurt that you hide. When you're lost inside I will be there to find you. Don't give up because you want to burn bright. If darkness blinds you, I will shine to guide you. Don't give up because you are loved. You are loved. Don't give up. It's just the weight of the world. Every one needs to be heard. I heard my mother as I listened - loving me, encouraging me. She spoke right through to my heart. She was always my biggest cheerleader. But as I listened more closely, I could hear that she was just quoting our Savior, as if they were saying the words straight to me. "Keep going. I know what you are going through. I have infinite love for you. Follow Me and I will show you the way." And I think I will continue to press forward. Because now I have the strength again. Thanks, Mom. Thanks, Lord. I needed that. I took Santa Claus my dad over to the barbershop today. He's been growing out his beard since my mother died. Before we left, he wanted me to take a picture of the beard, because it was time to shave it off. "Are you getting sick of it?" I asked. He thoughtfully replied that he had been tired of it a while ago, but that since he had made his point, he could shave it off now. As I talked to him, I learned that he had been growing the beard because my mother didn't like it. Now that she is gone, he can grow one if he wants to. That was the point he felt like he had to make. He said he was a little bit of a rebel with it on. My sweet, gentle, model-train-playing dad - a rebel? The thought makes me smile. But I nod my head with love and understanding because I've been a rebel, too. After my husband, Jay, died, I did a lot of things I didn't do when he was with us. We ordered in pizza. We went out for dinner and ate greasy burgers at fast food joints. I even let the boys have races up and down the hallway in the wheelchair he wouldn't let them touch. I don't know that I was acting like that because I was angry with him, or to spite him. It's just that when someone leaves - especially someone you have spent a lot of energy caring for - you naturally expand a little bit. Don't we go out to dinner more after our babies are old enough to have a babysitter? Don't we stay up a little bit later (or maybe a lot later) after we aren't under our parents' curfew? Or maybe we are naturally a little bit rebellious. We like to do things our own way, and chafe when we can't. We rebel a bit against the speed limit, or the 20 items limit at the checkout, or the amount on our property tax bill, or the spouse who doesn't do things the way we like it. And we rebel against God, by telling Him that our way of living is just fine, thankyouverymuch. Maybe it's time to shave off the rebel beard. Yes, I an choose what it is that I want to do each day. My agency is one of God's greatest gifts to me. But I can do what I do because I choose to - because I want to - instead of in reaction to anything or anyone else. Yup, clean shaven and in full use of my own ability to choose feels real nice. And Dad looks great, too. We took a picture of me and my boys last Sunday. I guess I should say that this is me and my big boys. The twins, although they are technically boys, are still little enough that they don't count in the group of "boys." I won't attempt to explain any further than that. I love me a group of good-looking boys. Next time, we'll have to group them differently, so that the ones on the left don't look so short (they are both taller than I am! ), and the one on the right doesn't look so... I'll give up on that one right now. I have my hands behind my back because there is a twin hiding in my skirts. I'm so amazed that they grow up so fast. It seems like only yesterday... Now I'll have to break out into singing "Sunrise, Sunset" until I embarrass the whole of them. I have always told them that they ought to grow to become taller, smarter, and stronger than their mother. I suppose it might seem that I'd get an inferiority complex from my grown sons, but on the contrary. Somehow I get bigger and more important as I help others to grow. It's the happy paradox of a Mother. We went up into the mountains to have an autumn picnic. The leaves were beginning to turn, and it was lovely. The fresh, crisp air made even our simple ham sandwiches taste superb. The kidlets had a great time playing - the little ones on the playground, and the older ones hiking up the hill. I enjoyed visiting with my dad. And then we marveled again at the beautiful world as we drove back home. Very peaceful. Very satisfying. I'm more than content. I am in awe with the Master Plan of the Creator. Thank you, Lord, for filling my soul. Potty training is serious business. You stay at home and take care of business. It can be tricky enough that I don't dare much to leave the room, let alone the house. I suppose you can be rather lackadaisical about the whole affair, like a mother I heard about recently who went out to lunch with her potty-training girls and their potties. On the other hand, you could be like a lady I knew years ago who lined up babysitters for her older children while she solely focused on the potty trainee. Whatever works for you and stays within the bounds of common decency! We have been doing well enough to venture out of our house a few times recently. At first, it was just driving the elementary school carpool. We went potty just before leaving, and hurried back to the pots as soon as we walked in the door. Over time, the twins learn how to stay dry for longer periods. Hallelujah! We spent the entire morning with my dad the other day. Even though it was not as familiar as our home, the little guys stayed dry the whole time. I made sure to take the to the bathroom on a regular basis, and they did great. Happy day. And this morning, we went grocery shopping. That's unnerving with potty-trainers. One of the more difficult things I've done with little children involves emergency restroom trips (for them or for pregnant me!) with shopping carts full of groceries and other children. That's the stuff Mommy nightmares are made of. We went potty just before going to the store and made it through all our shopping (about an hour's worth). After getting through the checkout and safely into the parking lot, I asked David to load the grocery bags into the van while I took the twins back in for a potty break. All three of us crowded into a claustrophobic stall, and I boosted Freddie onto the toilet. Big commercial split toilet seats are rough on little bottoms. It's so easy to tip into the split, or be pinched by the seat, or even fall in the water. Just saying. Georgie got bored, and it was all I could do to keep him from touching the icky floor, pulling out toilet paper, or crawling under the partition into the next stall - all while balancing Freddie so he didn't fall in. Do you know what happens when a little boy is startled while whizzing? Let's just say that aim... is non-existent. Georgie flushed the toilet while Freddie was sitting on it - twice. Freddie was terrified of the noise, trying desperately to jump onto my head, crying, and still dribbling. It was lovely. Then Georgie still needed to go, so I was balancing him on the nasty split toilet seat while trying to keep Freddie with us in the stall. Finally, we were done. They both hated the flusher, and were anxious to get away from the scary toilet. I lifted Georgie off the toilet - and the automatic toilet flushed itself again. Both boys jumped, panic-stricken, and couldn't get away from the alarming toilet monster fast enough. Those deafening, self-flushing toilets are enough to scare your pants off! Today I did a load of laundry for the third time. It was a bunch of towels that I kept forgetting about and left in the washer. Ew. But now they are nice and fluffy and stink-free, thanks to a bit of bleach and a good dash of vinegar. And I folded three loads of laundry that has been sitting by the piano, where everyone who comes into our home can see it. I'm much better at washing than folding. I learned that I should not try to sniff hot oil in a deep fat fryer when I am lifting off the lid. I burnt the inside of my nose. It still feels yucky. I also learned that the Angel has an inside scoop on Heaven. She told us that Grandma Susie would give us an orange telephone and then we could call her and Heavenly Father. I'm looking forward to seeing how this works. I invented a new dinner with some freezer-burnt steak (cooked to perfection in the crockpot), some leftover baked potatoes (cut into chunks and pan-fried) and white gravy. I called it steak and potato hash and we had it with a green salad and fresh 30-minute baguettes. It was a hit! I had to spot-clean the twins' carpet after their naps - again. But pinning their zippers up on the footie pajamas was successful in keeping their diapers on. I cleaned up the kitchen two or three times, picked up the living room more than that, and decided not to clean my own room. I'll do that tomorrow. Maybe. I read some in the book I borrowed from a nice neighbor, Mere Christianity by C.S. Lewis. I thought I'd like it, but I am pleasantly surprised at how readable it is. I'm loving the book! I rescued Chris' saxophone cork grease from Freddie, who thought it was a tube of chapstick. Freddie eats chapstick. I drove Dave and Ed to school and back. I really need to see if there isn't a carpool I can join so I won't have to drive so much. I saw this chalkboard wall and I'm seriously considering doing something like this, only with the calendar squares ever so much bigger. We have a lot of schedule to coordinate around here. I have a wall that I use for our "command central," but it has textured wallpaper on it. I'd have to strip that off - would it be worth it? I have a bit of a hangup abut not having a paper calendar to save. Anyone else hoard old calendars? I got a phone call from Alec, who said he'd be coing home this weekend, and could we buy him a new backpack? His old one (and his helmet) got demolished in the bike wreck he just had. Fortunately, Alec only got a few bumps and bruises. Glad his guardian angels were watching out for him! I smiled as I listened to David and Eddie play night games with a bunch of neighborhood kids. Our yard is big enough to be a great dark-playground. And I stayed up until midnight talking with Ben, who casually used the word "burpy" in conversation. I really like that boy! I love this picture of a handy housewife during World War I, preserving the goodness of what she grew at home instead of relying on the nation to help her take care of her family. Now think of that in an emotional and spiritual sense, rather than a physical one. So what kinds of things should we be growing and preserving, in order to take care of the relationship needs of our families - particularly our marriage relationships? I've been learning some good things. A caveat: I'm not marriage expert, but I do have some reasonably good experience at practicing. I've had two husbands, and they each have had different strengths and contributions to our relationship. Heck, I'm even a different flavor now than when I was younger! But mostly, I was at an amazing conference last weekend where I heard tremendously helpful advice. Listening is the easy part. Practicing is the hard part. 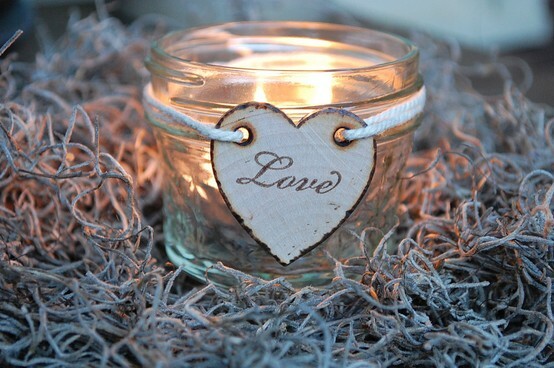 The barometer of our spirituality is how loving we are to those closest to us. If we truly believe in being good, in being loving, then wouldn't we want to show that? Especially to our families? Especially to our beloveds? When you wrap your emotional life around another person, particularly your spouse, and depend on them for your sense of happiness and fulfillment, you give up your agency to really love. Your ability to chose to love must not be dependent on whether someone else has been nice to you today. That's why we depend on an always-loving and infallible God to fill our spiritual reservoirs, instead of relying on other people who are just as imperfect as we are. Let's quit pointing fingers at "the other guy." It is MY job to be happy - MY job to be validated. I don't need to assign that essential job to my sweet husband, who already has a lot on his plate. I choose to love him because I choose to - not because of anything he does. Because sometimes he doesn't do the things I like. Then do I not love him? I get to choose. And my stores of love come from the love I receive from my Heavenly Father, who will always love me, no matter what. Happiness in marriage has very little to do with your spouse and everything to do with you and your relationship to God. Elizabeth Barrett Browning's sonnet "How Do I Love Thee" deserves a deeper pondering than what we usually give. How do I love my husband? Really, how? What do I do to show my love? Lounging around on the couch, feeling love for my sweetheart doesn't do him a lot of good, nor does it strengthen our relationship. We can love more by thinking the best about each other. We can assume the good and doubt the bad. We can hope. We can love each other like Christ has loved us. Watch this video, then go and love. Because we can. The potty training is going pretty well around these parts. The twins are managing to stay dry all morning, with regular reminders to go potty. The afternoon is almost always dry as well, but we have an occasional accident in the evening. That might have something to do with Mom being busy, distracted, and/or tired at the end of the day. They are starting to run to the potty when they need to go, and announcing it by saying, "Yay! Fed (or Doge - whichever boy just went) potty!" and wanting us to cheer for them. Staying dry at naptime is a different story altogether. They don't yet. I put them in diapers when they head to bed. The problem is that their idea of naptime and mine are vastly different. We have lunch, change into diapers, read a story, sing a song, maybe have a cup of warm milk, and snuggle in the rocking chairs in the twins' room. When they are looking calm and drowsy, we tuck them gently into bed. We steal softly out of the room and tie the door shut behind us. Go ahead and mention the fire marshal or child protective service - I will readily admit to locking my children in their bedroom. This is only just until they are quiet, however (with both their parents listening in the next room), and then I open the door. The problem is that it takes an hour or more for them to get quiet. They shake the bed, they climb on the furniture, they throw all the clothes out of their drawers, they pull the drawers out of the dresser, they empty the closet, they jump, they fight, they sing songs. They do everything BUT go to sleep. So maybe we are putting them down for a nap too early? Nope. This is the routine, no matter how late in the afternoon they take a nap. And maybe they are getting too old for a nap? Nope. If left napless, they will be unbearably grouchy all afternoon long, then collapse into their dinner plates at the table and sleep until I'd like to be putting myself to bed. They do take a good nap - once they go to sleep. This naptime/playtime routine has worked fairly well, if noisily, until now. Now they are potty training, and don't like to be wet. So they take off the diapers. Oh, and they haven't gotten the hang of depositing their solids into the potty yet, so they hold it - until they get their diapers on. So whilst playing and jumping and generally not napping, they pull the diapers off. And then play in the poop. It's been a disaster for several days now, walking into the room after it gets quiet only to find a stinky mess and naked boys. Argh. I've tried to get them to poop in the potty. We've stayed on the potties for quite a long time just before naps, trying to get the business done. I've tried checking on them every few minutes to try to avoid the stripping. I've tried waiting until they were asleep in my arms before putting them to bed. Tonight, they are zipped into footie pajamas with the zipper pull tightly safety-pinned at the top. We'll see how that goes. Nighty-night, my little stinkers! Mama loves you. Please leave your clothing and diapers in the ON position. Thank you. It was my mom's birthday. What a range of emotions! Do I drape myself in black and spend the day mourning at her recently-dug gravesite, or do we throw a giddy party with cake and ice cream? The only thing I really know about grieving is that whatever you feel like doing, it's almost always OK.
We put up a happy birthday banner, and invited my dad over for dinner. She would have been 68, so we pasted up a list of 68 things about her on the windows. She was my mom, my dad's Sweetie, my kids' Grandma Susie, and an all-around, bona-fide amazing woman. We love you, and miss you so much! taught lots of neighborhood kids to play the piano - up to 30 at a time! looked up our friends' (and our dates') grades and classes too! "Spit in one hand and 'want' in the other and see which fills up faster." survived lots of tough times - she had grit! liked church books, a good mystery, the newspaper... good thing she was a fast reader! I've been reading stories of amazing women. And it's... wow. I was introduced to the stories of modern Mormon women by a neighbor of mine, a wonderful woman in her own right. I went to the Mormon Women Project and started reading random stories - whatever caught my interest. I smiled and identified and laughed and wept as I learned about these women of faith. The spotlighted women are all different ages, come from different backgrounds, and have different difficulties, but they share a light and a hope. Their situations are heart-wrenching, moving, and beautiful. I look at the faces of these women, and am awed by their loveliness and the miraculous peace in their eyes. I read the stories and am uplifted - lifted out of my mundane happenings, and lifted a bit closer to Heaven. I want to have these women as my friends. I would love to talk with them, to sit down and have lunch with them, to be able to call them on the phone and just chat. But I wouldn't dare. Because I'm not that kind of woman. I'm just little old me. There isn't anything special about me. Sure, my story is a bit different than yours. Who has the same story as anyone else? I'm not especially talented or beautiful or full of faith or... amazing. I would bet that most of my lady neighbors would feel similarly mundane. But really, how many of us are amazing women? I would venture to give out an extremely large number. How many of us would admit to feeling stupendous or stunning? The number shrinks to almost nothing. So why don't we think we are something else? Really! My little ones think my lap is the absolute best place in the world. There isn't any remedy as miraculous for healing as my kiss. My husband thinks I'm great. My teens want to stay up late and talk to me. To me! My college boy calls after an inspirational meeting because he needs to share his feelings with someone. And he calls me. I'm the pillar holding up this home. That's just what Moms do. But isn't that pretty spectacular? I guess the most magnificent thing is this: I get to be the mom. And I love it. It's a hard job, and some days I do better than others. Some days, I stink. But my story is unique and impressive. I'm beautiful, because that's the way God made me. And if I had someone to take a lovely portrait of me, and write my daily prose into poetry, I might just be amazing, too. Do you know how hard it is to type, one-handed, with peach juice dribbling down your forearm? I'm trying really hard to hold this amazingly delicious fruit away from the keyboard so I don't juice the computer. Somehow I think bad things would happen. I tucked in all of the kidlets. The kitchen is clean. Trent is watching a ball game with his dad. The house is quiet. It has been such an incredible day, and my heart is full to bursting. All of the above means that I deserve a treat. I wander into the kitchen and find vegetable soup from dinner, some leftover pasta that wasn't really good the first time, a few cold waffles, and half a tub of Cool Whip. Tempting... But as I walk over to the drawer to get me a big spoon, I saw the fruit bowl holding these huge, luscious-smelling, ripe-to-perfection peaches. Sold on the peaches. I love peaches. I love them fresh, I love them in jam, I love them bottled. There is not much more beautiful than rows of freshly-bottled sunshine sitting on the counter. It's a lot of work to pick and wash the fruit. I actually hate blanching and peeling the slippery devils, but the slicing and pitting isn't too bad. The whole kitchen gets hot and muggy and miserable. 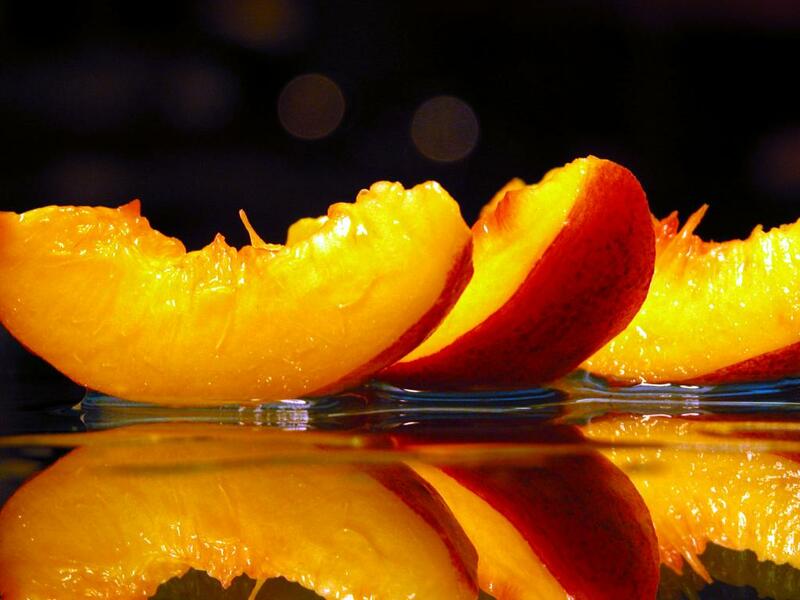 But it is so worth it, on a cold, bleak winter day, to open a bottle of peaches and savor the taste of summer again. I had the opportunity to go to a conference tonight and hear a speaker talk about how marriage was like bottling fruit. He told us that the Lord gives us an amazing gift when we are married: an empty bottle. He will seal it for us, to keep our love forever fresh and our marriage delicious through the eternities. But first we have to fill the bottle. I think I first filled my bottle with twitterpation and excitement. After that comes a gradual torrent of shared experiences. But is my fruit sweet? Am I trying to bottle up resentment or martyrdom? Have I included the green fruit of unrealistic expectations, or the over-ripe mush of anger? Even a little bit of bitterness will ruin my preserves. Tonight, I'm taking careful inventory of my marriage recipe. I think it needs some adjusting. I'll put on my apron, roll up my sleeves, and get to work. I'm sure I can find more natural sweetness around here somewhere! And when I'm done, the Lord will seal it up and keep it pure forever. 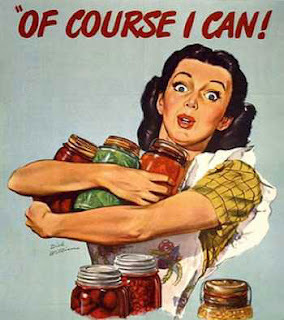 It's canning season - what are you preserving? that when my mother would ask me, "Why don't you clear the table for us?" she didn't really want to know why I didn't want to clear the table? that I feel like I can't wait to have a break from my children, and then I can't wait to get back to them? that I crave companionship but never call anyone? that my firstborn son chooses to attend the college that was the arch-rival of my alma mater? that helping to guide someone's footsteps makes them want to run in the opposite direction? The definition of rational, I figured out years ago, is "you think like I do." Irrational, of course means, "you don't think like I do." My children are often irrational. They don't do things the way I would. And that isn't always a bad thing. David is running for student council in the elementary school. He had to do many hours of before- and after-school service, as well as a few hours of at-home service (I liked that requirement). He had to make two posters (which we did as emergency homework late that night before). And he had to do a short (1-2 minutes) skit. Pretty awesome, don't you think? Except that David didn't like it. He wanted to have someone smash a pie in his face. I could fight him, or try to dissuade him, but I wisely refrained. Instead, I listened to him and encouraged his ideas. It was actually a bit difficult to let him do it his way, but I'm learning that it turns out better that way. And it is easier on Mom, who would end up having to do all the work if it was her idea. We had a bit of a compromise, starting out with a D-A-V-E chant where the kids in the audience did the Village People actions with him, and ending up with "I'll do anything to make this school a great place, even getting a pie in the face!" Eddie got to do the pie-smashing part, and loved it. It went over just fine, and David did a great job. Imagine that - he can think differently than me, and it's OK!. Maybe it's rational after all. It's nice to have twins at the end of a family, so there is not a spoiled "baby" of the family. Come to think of it, most twins I know of are at the end of their families. Maybe because they are a handful and the desire to add to the chaos with yet another baby is easily squelched? Maybe. On the other hand, twins are just as fun as could be, and I can't even begin to imagine our family without the both of them. Georgie, at the end of the end, is too precocious to be the baby of a family. He developed his fine motor skills before his twin (like drinking from a cup, signing, talking, pinching! ), while Freddie beat him on beginning the bigger movements first. That isn't to say that one is innately better at anything than the other. On the contrary, it has been fun to see, as soon as one twin masters a new skill, the other boy essentially say, "Hey, I can do that too!" They have been right on top of each other in hitting their developmental milestones. They are so similar. And at the same time, they are each completely unique. When we were told that our one-week-old babies were identical, I almost didn't believe them. To me, they act so different - they look so different. Georgie is a problem-solver. He is sneaky, observant, quiet, and cautious. He loves to sing with the music in church, even when no one else is. He absolutely must hold the hymnbook. He knows which cup and plate is his, and which bath toy and shirt - even when they are exactly the same. At birth, there was a three-pound difference between the two, and there still is. Georgie is the smaller, and not inclined to change that status. It is hard to get him to eat - he is picky about his food, and eats slowly. Most of the time, I have to coax him to eat, holding him on my lap and spoon-feeding him, while Freddie wolfs down his third bowl. My Georgie is such a snuggler. Early this morning, I saw him walking into my room and couldn't help but remember when he was a little bit younger and I could only see a fluff of blond hair bobbing alongside my bed. He came to the head of my bed, and just stared at me. As soon as I opened my arms to him, he quickly climbed into the bed and wrapped his little body around me. It was at this moment that I realized he was wet. Thoroughly, completely sopping wet. I sprang from my warm bed, gathering up the drippy mess of sleepy toddler and whisked him out for a diaper change. We changed his diaper, his shirt, his pants, and got him all cleaned up. Finally, we were back in the bed while it was still dusky morning - but we were both quite awake. No matter. Georgie burrowed his soft head into my shoulder and wrapped his legs around my ribs, content. I laid there, still, listening to his sweet breath, reveling in the happy Mommy Moment. Little Georgie was the first of the twins to start talking. He still talks a fair amount, but Freddie has sure passed him up in the vocal department - talking, that is. Georgie still sings more. At naptime, Trent and I take the twins into their bedroom (I can tuck them both in by myself just fine, but it's nice that Trent works out of his office here at home right now.). We settle into the two rocking chairs and hold our babies. Freddie talks a mile a minute about the fly buzzing about the room, how he wants us to pull the blinds all the way down, how he likes the dogs on his blanket. He downs his sippy cup of milk, proclaims, "Niwk! All-done. Throw it!" and wants to chuck the cup across the room. He has to get up, turn on the closet light, and adjust the closet door so it is mostly closed, but not completely. It has to be just right. He tells us all about it. He grabs one blanket, "Beenket!." and gives it to his little brother. He runs for the other blanket, "Mine beenket," and settles back into Trent's arms. As we are tucking them into bed, Freddie excitedly jumps up, closely followed by a breath-taking plume, and exclaims, "Dipah! Janch!" to let us know that he can't possibly take a nap wearing a recently-soiled diaper. During a car ride, he chatters about buses and cars and his favorite, motorcycles. He wants to drive "fass!" And he cries that "Doch. Hit. Me!" He talks quickly, but each word is its own exclamation, carefully chosen and spat out for intensity. I change his clothes and he examines the raised, red strawberry birthmark on his shoulder. "Owee. Doch. Bit. Me. No, Doch, no!" One day he might figure out that it isn't a bite. But then again, they do bite each other on a fairly regular basis. Freddie's favorite is the quick permission petition. He runs up to me (always running), starts to jabber something, and bolts away while still babbling. At the end of his speech I hear his high-pitched, inquisitive shot, "K?" And I know that he is about to get into something he knows I have to authorize. He dashes off before I can give him the negative. I then have to chase him down before he paints on the carpet with toothpaste, climbs on the kitchen counter, escapes to the great outdoors, or empties all the spoons from drawer. I can still run faster than he can, even when he has a head start. It won't always be that way. For now, I chase him down, catch him, and squish his delightfully soft little body into a hug. I'll hold him as long as he lets me. Before putting him down, I ask for a kiss. His kisses are big and open and drippingly wet, and I love them. Only a mom could. But I love him! I neglected to say that we keep our potties right out in the living room, so everyone can enjoy our training successes. Aren't they adorable little potties? Now all who enter can know what we have been up to these days. Actually, we put them there for two reasons: it is more convenient to get two mini-bums to sit when the pots are right there; and three little people in the bathroom at the same time (Angel has to go if they do!) is just way too many. One is on the toilet, one is on the potty, one is checking to see how long the toilet paper is, then someone has to splash in the toilet while it is being sat upon, and of course the cupboards and drawers simply must be explored. Too much adventure. We like our chamber pots in miniature to be admired. Yeah, that's it. It's potty time! Pah-tee! Yup, folks, get out your hats and balloons and confetti. We're having us a pot-tee! Even better - we're having two potties! Yes! Before the twins turned two, they started learning about the toilet. I change their diapers on a pad on the bathroom counter, with one little guy on the pad and the other little guy around my ankles. Angel often has to join the party, where she remembers that she "gots to go." The twins ignored her, then watched, then got curious about what she was doing, sitting over there. Georgie was the first to want to sit on the toilet - and tinkled immediately. After that I would put him on during a diaper change if he asked and he always tinkled. Pretty soon Freddie wanted to try, too. We'd go potty for a few days, and then the novelty would wear off. When my little guys started whining as I put them on the potty, I knew they weren't ready. I cleaned up the potties and put them in the bathroom cabinet. After a few weeks, one of the twins would find them, drag them out and demand to go potty. We'd try again for a few days, then put them away again. A couple of weeks ago, I thought we'd pull them out again, just to see what would happen. It's still a bit early to potty-train boys, but they are asking for it, so I guess that means they are getting ready. Some of my boys have potty-trained easily and quickly (a week or two), while for others it was a long (try over a year!) and arduous process. For the first little while, I give treats for the sitting. Then you have to accomplish something on the pot to get a treat. The older kids get a treat too, if they help a little one potty successfully. Now I just remind them to go somewhat often, and they stay mostly dry during the day. They want me to cheer for them and clap my hands. Yay! I'd much rather have little legs sticking out of training pants than change diapers. AND they are starting to go when they need to. AND they are starting to figure out the solids as well. Yay! It's worth the effort of using exclamation marks. And the progress is worth dealing with the accidents. Like the one this afternoon where Freddie mostly made it to the potty before he pooped. And the one yesterday where Georgie pooped little pellets all across two rooms. And the one tonight where three little people were screaming in the bathtub because of the floaters Freddie made, Good times. Freddie calls it "body training." I guess that works. Happy day. We're having a potty! We have three hallways in our home. The upstairs hallway leads back to two bedrooms and a bath. Ditto the second hallway, only downstairs. The third hallway is almost an afterthought, squeezing past the furnace room and leading to our second kitchen and the storage room. The skinny hallway widens at the end, just enough to accommodate a dresser, little shelves, and a toddler bed. This is our Angel's room. I have mentioned its itty-bitty-ness here and here. The hallway begins about two inches from the right of this picture, and the room extends a foot or two to the left, and abut the same behind me as I took this shot. Cozy, indeed. The kitchen next to her room has been remodeled (um, we had some carpet installed over the old linoleum, took out the stove and the fridge, but left all the cabinets and the sink). OK, maybe not remodeled, but sort of changed, a little bit. Enough to use it as a bedroom, anyway. Ben started out there, and after the last change-up, Alec has been the possessor of the kitchen-bedroom-that-I-get-all-to-myself. No, she gets up, lonely, and wanders about the house in the middle of the night, as well. We have found her curled up at the bottom of the stairs, sprawled across the couches upstairs, draped over the arms of the easy chair in front of the fireplace, on the floor next to my bed, on her mattress that she dragged out to the rec room, in her brothers' bedrooms, and anywhere else a little girl might like to sleep. Except in her bed, in her bedroom. It is unnerving to get up in the middle of the night, throw your exhausted legs over the edge of the bed... and step on a person. Just saying. The thought of Angel's midnight meanders makes me more than a little nervous. What if she falls? What if she gets into dangerous things? What if she gets stuck somewhere? What if she goes outside? She is very adept at opening the outside doors and equally sneaky. This arrangement is not working for The Worrier. I think our best solution is to move Trent's office downstairs into the old kitchen, and let Angel have a bedroom upstairs. 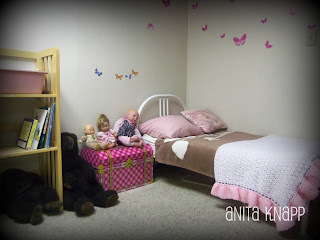 His current office is the smallest real room in the house, so it would work wonderfully for one little girl. She would be closer to Mom, Dad, and the twins, and not feel so alone. AND she would be close enough for Super-Mom Radar to hear when she gets up. I hope. A side-benefit would be that Trent's office would be more quiet, and a little further away from the little ones who like to scream and bang on Daddy's door during work hours. And Trent can get a drink of water whenever he wants one. Bonus! Did I just hear someone rolling their eyes about me always having to move everything around? Come closer, my dear. We have boxes for you to carry downstairs! A monkey. That's what Eddie is today - a monkey. A couple of years ago, he was a monkey in his class play opera. Yes, he was a singing monkey. In front of lot of people. He did a fantastic job, and he loved it. I figured that we'd combine the needed costume with Halloween, and I made him a bona fide monkey suit. Brown sweatpants, a brown sweatshirt with a tail attached to the back hem, and a brown stocking cap with ears stitched on. It was a great costume - and easy. Great and cheap and easy is my favorite. He still wears it. Unless he's wearing the marching band drum major costume I made nearly ten years ago. Or the blue tin soldier costume, with its brass buttons. Or the tunic, belted at the waist with an elvish cape. Eddie raids the costume boxes on a regular basis, looking for fun things to wear. It's not unusual to find him all in black, doing ninja escapades. Or another all-in-black, with his Sunday pants and a large black suit jacket, dark sunglasses and a secret-service-like wire snaking behind his ear into his black shirt. I love seeing what he has reamed up for the day. Eddie is so bright and imaginative. He makes up games and stories with David and Chris - and occasionally still Ben, too. Every day can be a different adventure, played by a different character, in a different situation. What a fun world to live in! Every day truly is a new adventure. And I'm not always the same character with the same personality. Today I was tired Mom, who likes to sit on the couch and read the news. And maybe some stories t the little ones. She drags herself to an upright position only when absolutely necessary, and mumbles incoherent jibberish about needing to get to bed earlier. A few days ago, I was Mad Mom, and the slightest things would get me fuming. After that, I was Discouraged Mom. How about Martyr Mom? Everyone loves that character! But shouldn't I be Happy Mom? And Grateful Mom? And Loving Mom? No guilt. It's not necessary or useful, except in helping me decide to get better. Then we're done with it. But yes! YES! I should - and can! And the Lord will help me when it gets hard, because it does. And He does. Because He loves me, and wants me to succeed and be a good mother and bring up these children to be hard-working, thankful, happy, productive adults. And with His help, I will. And when I get up in the morning, I will decide which persona I will take on for the day. Where's my cape? David has not been known for his homework prowess. He has been very good at complaining about his daily schoolwork, spreading it all over the kitchen counter, and complaining about it. And taking forever to start. And then finishing fairly quickly, begrudgingly surprised, that it didn't take the rest of his life. Repeat. Repeat. Repeat. But this year, I am the one to be surprised. Every day, he comes right home and gets out his homework. And then does it! Without being reminded! Every day. He hasn't missed once. (To be fair, he did forget about one small bit of the homework one day, but he sat right down and worked on the other subjects.) I know his teacher has high expectations this year. And I know she has a fun rewards system. And I can see that David is growing up and learning that he can do it. He can do things that are hard, and things that are not fun. And then the chore is done and he can do other, more enjoyable things. It's a great lesson. Have I learned my lessons today? High expectations create high results. Fun rewards help us complete tasks. Complaining just makes everything worse. Just start - it might not be as bad as I thought it was. I can do not-fun chores quickly. A good attitude makes life more pleasant. When my work is done, I can play. OK, they weren't actually castles that Chris was building, they were telescopes to put in an observatory. And it wasn't really in the sky, but it looked like it. There is my disclaimer. I peeked over Chris's shoulder the other day, looking to see what he was doing on the computer. He had been hunched over the keyboard for a long time, absolutely intent on not moving. I wondered if his eyes were dilated or swirling. On his computer screen, in the middle of a large blue... blueness, was an observatory. Maybe the blue was sky. It's hard to tell. The observatory was a line drawing done in a computer-aided drawing program. Chris was working on rounding the top and making the large slit in the roof for the telescopes. His detailed depiction of the telescope included mirrors and lenses. I was impressed. The observatory was a challenge thrown to Chris by Ben. Ben wondered if Chris could do a structure that intricate. The answer is a resounding yes. And we are all impressed at Chris's skill - and patience. And now I wonder where my sky-castles are. Am I diligently working on the challenges that have been thrown my way? Or have I thrown my hands up in defeat as I slump into the easy chair? At the end of the day, do I have a project, improved from my work of yesterday, and saved for more refining tomorrow? I think we all have impressive business that we are engaged in. And I think the biggest challenge of all is to recognize the good works we do, and to see the real importance in them. We are building castles in the sky, but they often look like Legos on the floor. Or dinner in the oven. Or an "I'm sorry." Or kisses on the scraped knee. Or a listening ear. Or a "Glad you're home." Because that's what Heavenly mansions are made of. I'm staying up late with Ben, talking about his future. He's a bit frustrated, not knowing what kind of a career to pick. "I just can't picture myself doing really any kind of job," he bemoans. It's a bit funny to me because this bright, capable boy thinks there isn't anything to. He could do anything. Really! So I just smile and listen and ask an occasional question. At one break, I ask, "So what do you like to do?" knowing that he likes lots of things, but hoping to narrow the field somewhat. "Just about everything. Stuff I learn about: math, science, art, music, English, history - everything. It's interesting, but not super fascinatingly interesting. I want to fly planes, have a Jeep and a dog and a motorcycle. And a wife and some kids. And be rich. And I want my kids to have something cool to say when the other kids ask what their dad does. I like being in charge, because I don't like it when stupid people are in charge of me. But I don't like having to make hard decisions or be the one responsible for a screw-up. "I'm sweating about it because I have no idea. I hate jumping into the dark. I guess I shouldn't look too far ahead right now, and just concentrate on the things that are in front of me. I like to be prepared, but if I don't know where I want to go, then I can't be ready for it. I kind of just want to be a scholar and be endorsed by the gods, like in ancient Greece. I want to keep learning, not learn something and just do it over and over again. And I want to contribute. I just don't know how." 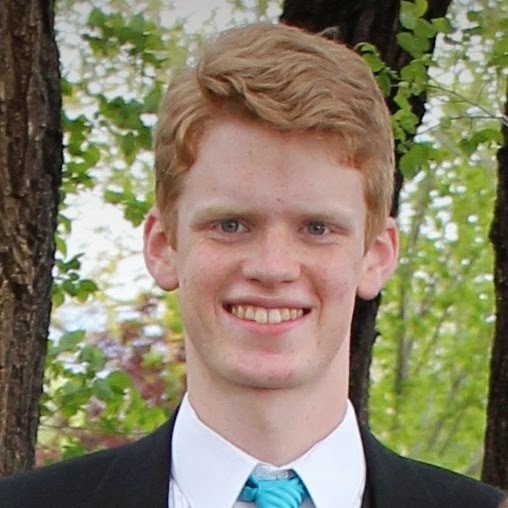 This is the boy who pulls straight A's on his report card of mostly honor classes; the one who was bummed that his chemistry class was boring; the one who is shooting for a perfect 36 on the ACT. This is the boy who really could do anything. And can't we all, really, do anything? There are grownup considerations and responsible worries... but we really can do anything good we put our minds and our muscle to. It's a freeing thought. And true. Because even in middle age - or even old age - we still have unlimited potential. I love my teenagers and the things I learn from them. Thanks, Ben. I needed that.